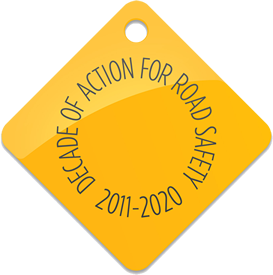 Although the safety of individual riders is improving, motorcyclists still represent a high proportion of road casualties. Health and safety regulations require employers to be responsible for the safety and welfare of all employees, as far as is reasonably practicable. Employers who encourage motorcycle use for business purposes should perform a thorough risk assessment and review this periodically. This applies to all occupational road risks. It is important that employers consider risks to employees on the road in the same way as those within the workplace. Some organisations with Travel Plans in place offer training (or financial assistance for training) as an employee incentive to encourage modal shift. All novice riders must complete CBT. It is important to remember that the skills to operate a car are very different from those required to operate a motorcycle safely and appropriately. Publicity and promotion are essential elements of actively encouraging any change in commuter modes. Employers need to understand that once the infrastructure is completed and facilities are in place, implementation of the Travel Plan has not finished. When establishing a Travel Plan it is important to raise awareness of proposed changes and the effects that they may have. In the case of a shift to motorcycles, training and provision of guidance to those new to motorcycling is essential. Where possible, advanced training should be offered to more experienced users. Anyone using a motorcycle for work purposes must be aware of the risk assessment and informed about the engineering and technical standards that could better protect them. All training should be provided to a high standard. The Department for Transport (DfT) and Driver and Vehicle Standards Agency have been developing the delivery and content of motorcycle tests. In 2013, new legislation was introduced regarding licences. The minimum age requirement for A1 category licences (light motorcycle) is 17 years old, for A2 category (max power 35kw) is 19 years old and for A (unrestricted) is 24 years old. The age requirement for Category A is reduced to 21 years for those who have held an A2 licence for two years. The DfT continues to raise awareness of motorcycles sharing road space through their “THINK” campaign. The multi-media campaign includes leaflets, videos and TV and radio advertising.